Morphestra is today's cinematic virtual instrument. Sample Logic's award-winning team presents a powerful collection of creatively new and inventive organic instruments. 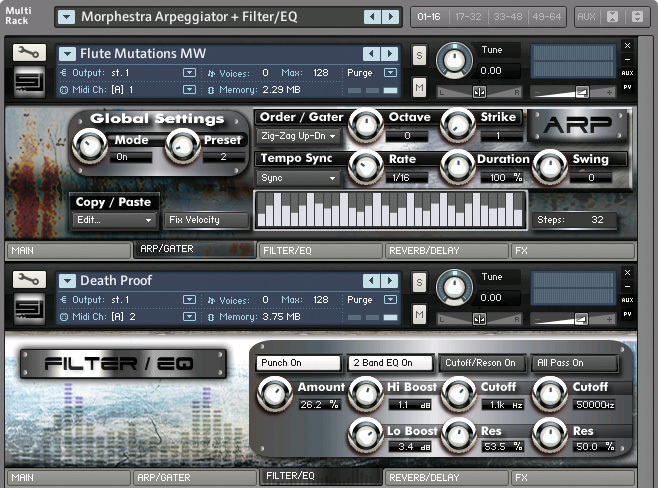 Morphestra is derived entirely from orchestral recordings and psycho-acoustic sound design. 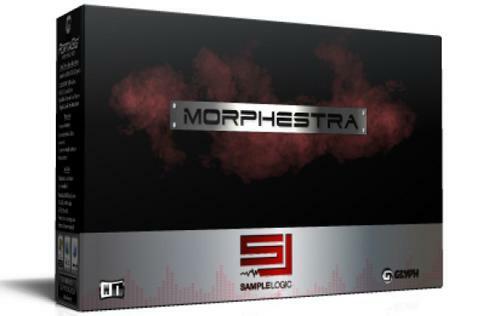 In association with Kirk Hunter Studios and powered by Native Instruments Kontakt Player 3, Morphestra is an epic collection of over 27 GB and 1200+ instruments and multis delivered pre-installed on a pocket-sized Glyph hard drive. Out of the box, Morphestra is ideal for film, TV, video games, electronic music, ambient music, multimedia genres, and much more... Its powerful instruments and multis stand on their own making it a "must have." This makes creating an entire production possible without the assistance of any additional third-party instruments and effects. This "cine-organic" achievement surpasses any library of its kind. Rather than reinventing the traditional orchestra, Sample Logic has created a modern-day virtual instrument using effectual techniques. Morphestra includes: cinematic atmospheres, innovative arpeggiated/gated melodic and rhythmic instruments, thunderous percussive impacts, transition trailer effects, and dynamic rhythmic loops, and lush evocative pads, just to name a few.